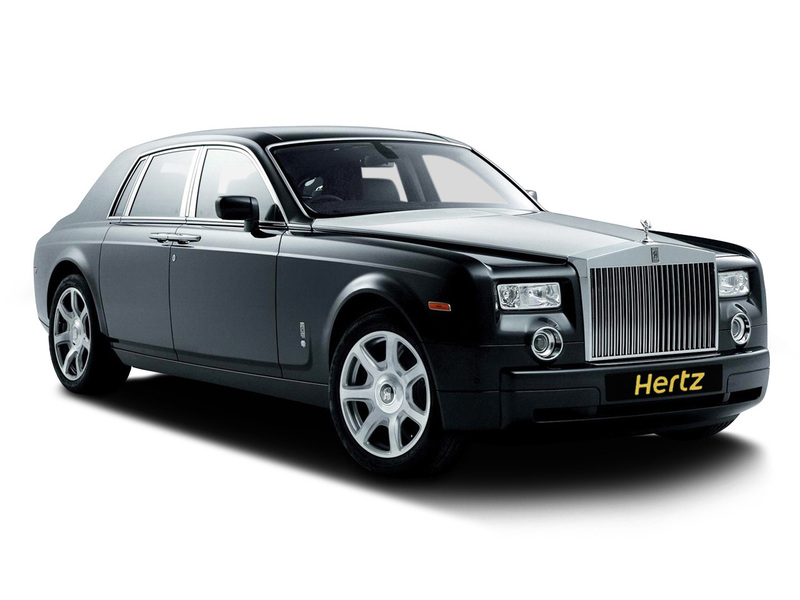 Driving a Rolls-Royce Phantom is a privileged few will ever experience, but Hertz Dream Collection Cars for Hire can make your driving dreams come true with either a daily or a weekly rental of this ultimate luxury automobile. Rolls Royce has combined supreme luxury both inside and outside of the vehicle that has retained an old world charm in the 21st century. The Rolls Royce Phantom is a rarity among automobiles and it is the ultimate symbol of both unthinkable luxury and modern elegance. The inner space of a Rolls-Royce Phantom is entirely the work of the Rolls-Royce master craftsman who can transport you into another world as soon as you enter the vehicle. It seems that the designers have thought of everything, even designing a specially hidden umbrella so that one is always on hand if (and when) you are caught in the London rain. The leather upholstery is as soft as butter, and it will never squeak or crack. The interior even has its own distinct smell which can only be described as refinement. The whole interior is so streamlined, in fact, that all of the woodwork in the vehicle was created from a single tree, and under your feet are lamb's wool rugs. The Rolls-Royce experience is entirely bespoke, and each car is as individual as its owner. It is a sublime machine that will take you from destination to destination with such ease and grace that you would hardly believe you'd travelled at all. It is the ideal travelling experience that goes unparalleled. The attention to detail means that each leather interior takes two weeks to stitch by hand, and it is made from 15 to 18 hides of Bavarian bulls, which are cut by a computer-guided knife. The attention to detail does not stop with the aesthetics of the car. The navigation system includes 3D maps and guided tours. Guided parking systems have been included standard to help you park the car without a scratch. Even the badge on the front of the car has a special function and can be retracted with the touch of a button to protect the Phantom from anyone who wishes it harm. The Rolls-Royce Phantom is the epitome of class and luxury, and Rolls-Royce rarely gives out the names of its clients to protect their privacy. It is a sublime machine that provides a comfortable experience that is unrivalled elsewhere. Generations of attentive British engineering has resulted in the ultimate luxury experience that is detailed to the individual. Experiencing a Rolls-Royce on the streets of London is a once in a lifetime experience for many but Prestige Cars for Hire can make it possible for you.